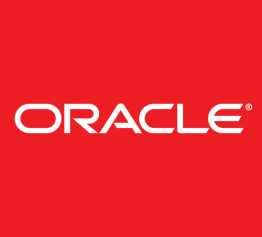 Work for Oracle Oil and Gas Cloud Applications? Learning about Oracle Oil and Gas Cloud Applications? I really like that Oracle cloud is easy to maneuver and is user friendly. There are so many companies that use the oracle technology. I like that it really cuts down on costs and is based on real time data while operating efficiently. It also improves performance. I have not found anything that I dislike about the Oracle Oil and Gas Cloud Applications. I really recommend that more Oil and Gas companies switch from their applications to Oracle Oil and Gas Cloud applications for their high efficiency and performance. Oracle makes life easier at work, the storage is high and the capacity is nice and useful. * We monitor all Oracle Oil and Gas Cloud Applications reviews to prevent fraudulent reviews and keep review quality high. We do not post reviews by company employees or direct competitors. Validated reviews require the user to submit a screenshot of the product containing their user ID, in order to verify a user is an actual user of the product. Hi there! Are you looking to implement a solution like Oracle Oil and Gas Cloud Applications?